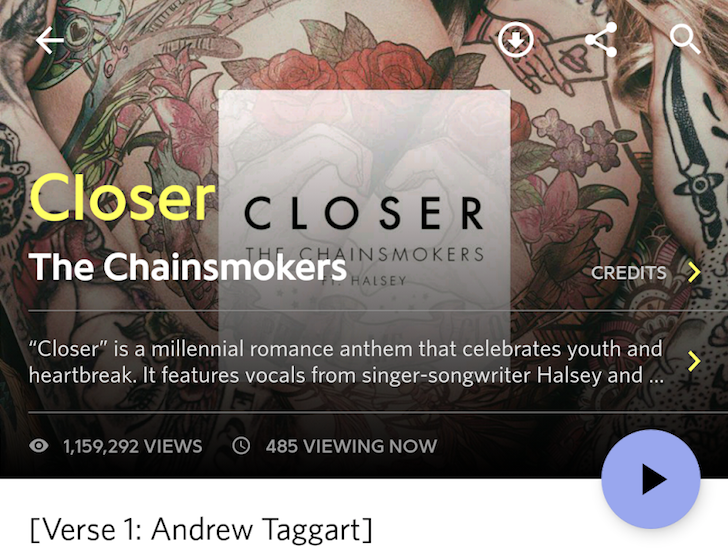 Genius, which started out as Rap Genius, is a cool Android app for music lovers who want to not just discover the lyrics to their favorite songs, but also the stories and trivia behind them. With version 2.0, the app is getting a couple of nifty new features, none more important than the slick animation on the redesigned song page. The song page also now shows a full bleed song header that is part of the animation. If you're interested in reading more about it from a developer point of view, you can check +Lisa Wray's post on Google+ for all the gory details. Functionally, Genius 2.0 is also adding the option to save songs for offline viewing so you can read their lyrics even when you don't have a connection. There are bug fixes too, specifically for text rendering on Android Nougat. - Saved songs: save your favorite songs and view their lyrics offline!